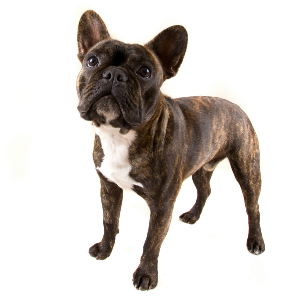 The French Bulldog, came about as a result of economics. Playful, calm, intelligent and usually friendly dogs with some described as having a comical personality. Enjoy participating in dog sports such as tracking, earthdog trials, and competitive obedience, though overheating should be avoided. Any stubbornness may be lessened by using treats and favorite toys in reward-based obedience training. Some do not get along well with other dogs. 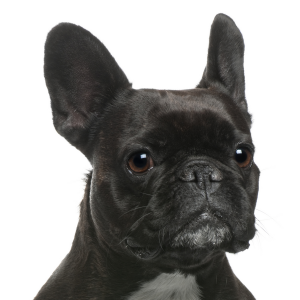 The French Bulldog, also known as the ‘Frenchie’, came about as a result of economics. 19th century economics, to be exact. 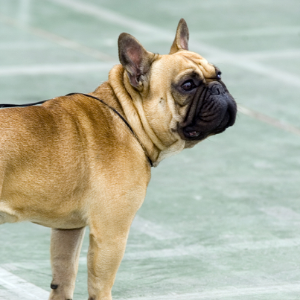 In the mid-1880s, smaller versions of the English Bulldog were brought across the English Channel by lace workers from England – who were seeking work in Normandy. 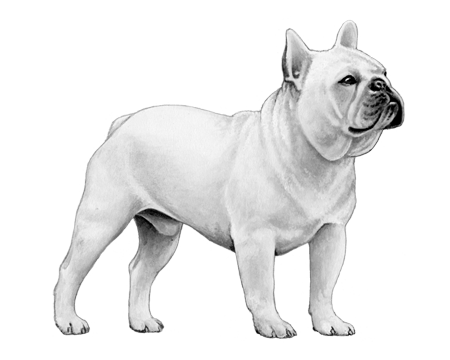 In the farming communities where the lace workers settled, the little Bulldogs became very popular as ratters and it wasn’t long before they bred with local French terriers. 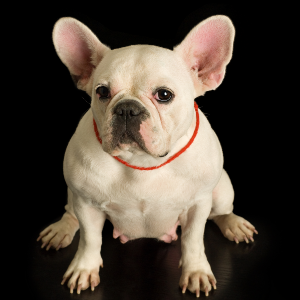 And, voilà, the French Bulldog was born. 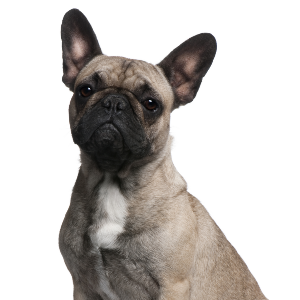 You can’t help but have noticed their distinct bat-like ears too – a feature that’s distinctly ‘Frenchie’. Just like their friendly personalities.